East Rogerton Lodge has great access to all major transport routes on the central belt of Scotland. Just 6 miles from the city centre Glasgow and on the outskirts of East Kilbride this is the ideal place for a short break. There are many alternatives methods of getting to us all of which take less than 1 hour. The East Kilbride Bus station offers a wide range of services to many different local areas and attractions. 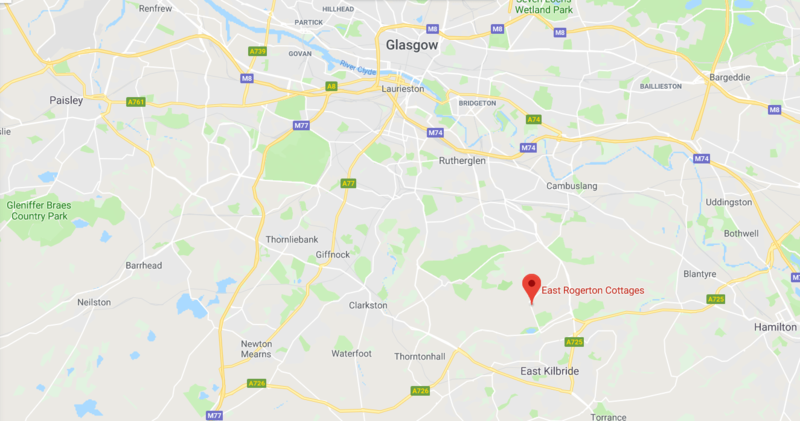 If you are Traveling to the East Rogerton Lodge by bus it is best to travel to east kilbride bus station then get a short taxi ride to our front door. If you are traveling by train then the best route is going from Glasgow Central Station to East Kilbride. With the train station only a couple of miles away from the lodge and with taxi services readily available this 30min train journey is a good relaxing way to travel to and from the city of Glasgow. If you are traveling by car then we are accessible via all major routes with the M74 motorway only 6 miles away and the M8 motorway 7 miles away. When traveling from Glasgow on either the A730 or the A749 follow signs for East Kilbride.